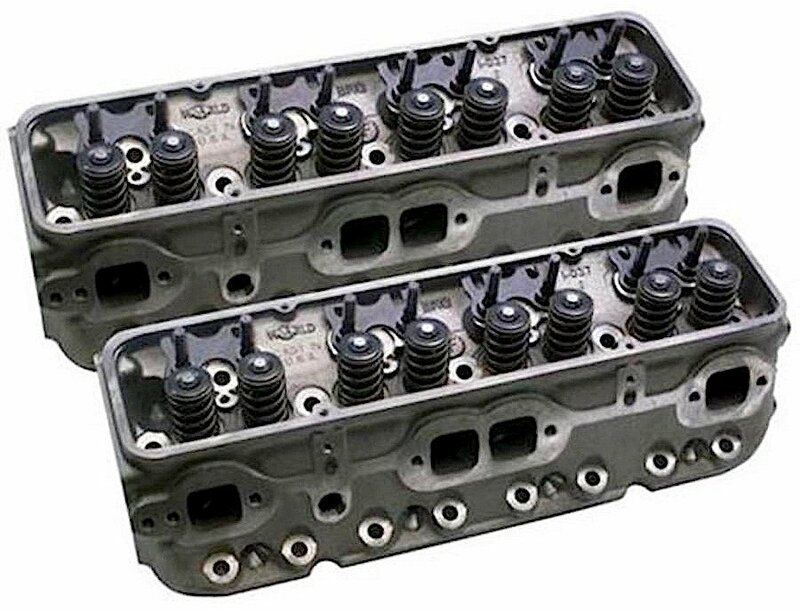 News that Trick Flow will re-engineer the classic small-block Chevy “double-hump” or “camel-back” cylinder heads in cast aluminum is reviving interest in the original Gen I platform, and is stirring up memories of great engines that were built with those heads. Officials indicate development is underway at Trick Flow, and the new alloy versions will feature the traditional closed combustion chamber with an option of 1.94 or 2.02 intake valves. Trick Flow will likely offer intake ports slightly larger than the original factory 160cc volume, and the combustion chamber volume will decrease slightly to 60cc. However, all the familiar markings, including those iconic raised hump patterns, will return, as will the straight spark-plug location. As with later model double-hump heads, accessory-mount holes will be offered. We haven’t heard what kind of surface finish the heads will flaunt, but hopefully it will be rough enough that when painted, no one will be able to tell the difference from an iron head. Here’s a vintage 461 “Fuelie” casting found at Pro Machine in Rapid City, SD. Note the combustion chamber, side marking, and other details. The double-hump family actually consists of many different casting numbers that GM produced for different engines in the ‘60s and ‘70s. 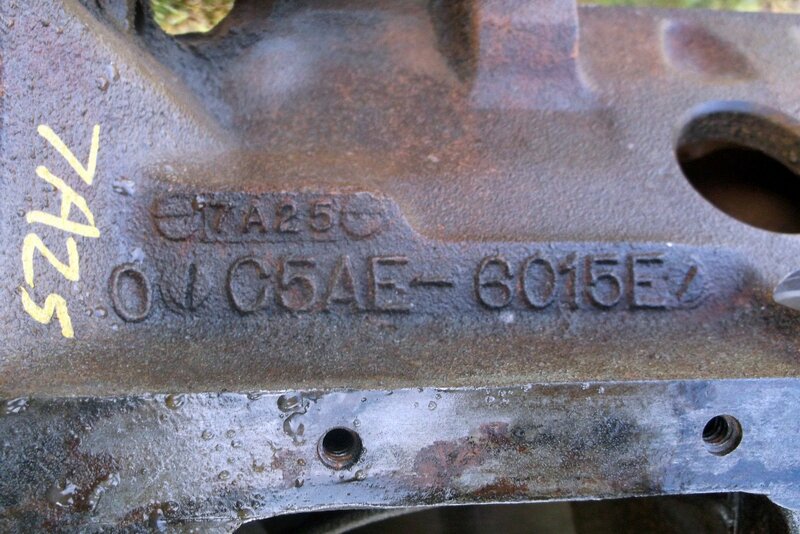 The castings are usually identified by the last three numbers, so 3782461 cylinder that was produced originally for 327ci engines would be better known simply as the 461 head. Its replacement, the 3890462 and 3891462 castings, are best known as a 462 head. Collectors and racers do have to be careful when looking at 462 heads. Normally, GM didn’t reuse the last three digits when assigning casting numbers; however, 462 was used on at least six castings. It’s tough to find quality original 461 castings for restorations, but NHRA Stock and Super Stock racers have the option of using the World Products S/R Torquer head, which is a legal replacement. Other popular double-hump castings include the 291 (3917291), 292 (3917292), 186 (3927186), 187 (2927187), 414 (3973414) and 492 (3991492). There was also a race version of the 461 known as the 461x. It featured 172cc intake runners and a slightly larger combustion chamber. The 461 head is more popularly referred to as the “Fuelie” head, because it was introduced as standard equipment on the 1962 327ci Corvette engine that was fed by a mechanical Rochester fuel-injection system. In some bench-racing circles, all double-hump heads are classified as Fuelie heads. Although it’s a technicality, the Fuelie and double-hump generation launched such a cult following, that even to this day, there are small-block loyalists still believing the double-hump head is the best choice for the original Gen I platform. Here’s a restored Fuelie engine that sold at auction for more than $38,000. You can just about make out the double-hump casting marks under the Chevy Orange paint. Of course, it hasn’t been the leading iron small-block head for decades. Double-hump heads were offered up through the 492 head that was featured on the 350ci LT1 engine in the early ‘70s. Then, emissions concerns forced lower compression ratios, and there was no need for a high-performance, iron production cylinder head until trucks needed more power in the ‘90s when the Vortec head was developed. Under the casting number is the casting date. For this 461 head, the casting date is September 24, 1964. The 462 was cast on April 13, 1966. Decoding the casting date is simple. The format is a letter signifying the month followed by three or four numbers indicating the date and year. For the month, A=Jan, B=Feb and so on. For some heads, the year has two digits, as with the 461 head, but most often, the casting date is abbreviated to just the final digit of the year. That means you have to know the correct time frame for those castings, because the number 4 could mean 1964 or 1974, depending on when that head was in use. Meanwhile, the aftermarket stepped up development of new iron castings that were superior to the double-hump. Also, Chevrolet designed the Bow Tie head for racers who still needed iron heads to comply with track rules, and for budget-minded street-car builders. Despite the loyalty shown to the Fuelie heads by small-block enthusiasts, the power potential simply wasn’t there anymore. That’s not to say a good set of camel-back heads isn’t in high demand today. Top-dollar, matching-number restorations, especially on Corvettes, require original castings within a certain casting-date range. The problem is, that many of the survivors either have stress cracks or have been milled so often that the decks are paper thin. 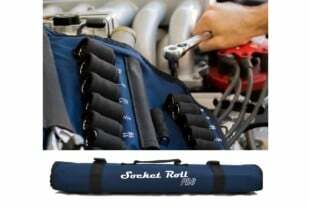 There could also be hidden problems like rust damage in the coolant passages or warping from excessive heat. A considerable investment is needed to restore these heads to working order. One of the factors that actually saved quite a few camel-back heads for use today was the aftermarket. “In the early days, the iron heads were taken off for aftermarket aluminum heads, and it was real easy to find 461 heads at the swap meets. 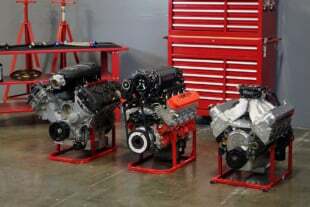 Now they’re $500 a set – or more – and have usually been milled down or have been through a 100 valve jobs,” says one Corvette restorer who didn’t want his shop revealed because he has amassed a large collection of quality Fuelie heads and uses them only for his projects. He adds that he needs a large inventory because for a Bloomington Gold certification, the casting date on the heads have to be within a certain timeframe before the car’s actual build date to properly replicate a typical production schedule. Here’s a very clean surviving 462 head, which replaced the 461, we found at Johnson Machine in Rapid City, SD. Note that these early double-hump heads didn’t have accessory bolt holes, which often makes them unsuitable for upgrading newer low-performance engines. As the double-hump heads started showing up on more Chevy products and losing favor with some performance small-block owners because of aftermarket swaps, a loyal sub-culture devoted to the early camel-back cylinder heads was growing. Some were suspicious of the aftermarket, while others were looking for low-buck power upgrades. Chevrolet teased the aftermarket in the mid-to-late ‘70s, first with over-the-counter service replacements like the 3991492 head. Then came the famed “Turbo” head. Also found at Pro Machine was an old 492 head, which was offered on the LT1 engine and was an over-the-counter service replacement. It features a different style of double-hump marking and an accessory bolt hole. This was the well-known 340292 casting, and was key to the ultimate performance small-block engine in the ‘70s. Out of the box, they made more power than any fully-ported 461x head. This cylinder head leveraged features originally developed in a short run of GM custom heads for Smokey Yunick’s IndyCar project. Mainly, they were built rugged enough to withstand methanol fuel and turbo boost—hence the nickname. 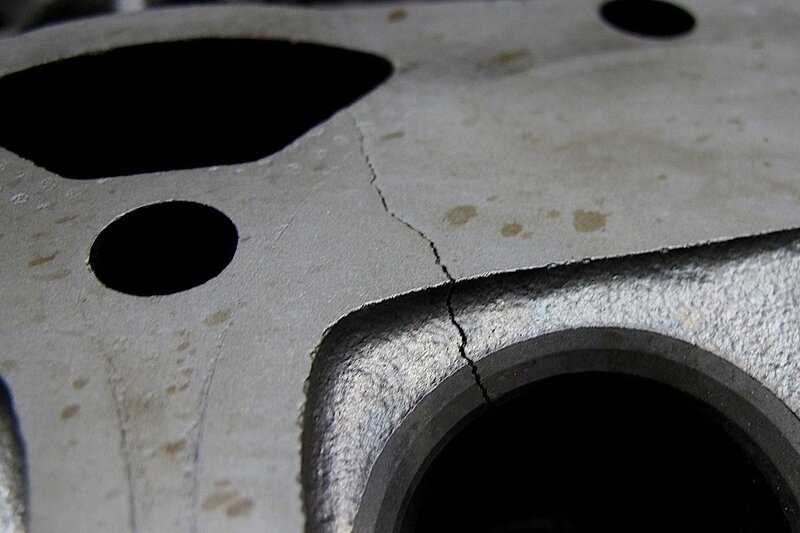 Many old double-hump castings are cracked from years of use or have thin decks due to over milling. Restoring these old heads can be expensive with new guides, hardened seats and valve jobs. 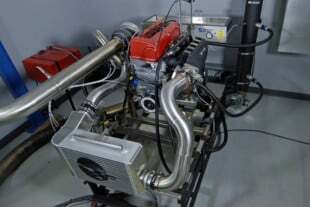 When NHRA revised Pro Stock rules in the ’70s to give weight breaks for small-block engines, the 292 head became a reckoning force when Bill Jenkins, Lee Shepherd, Gene Fulton, Alan Brownfield and other noted head porters started welding them up and grinding away. Old advertisement for the Crane Cams modified 292 head, better know as the Fireball cylinder head. Veteran performance enthusiasts will surely remember the Crane “Fireball” heads. 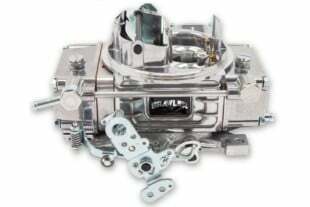 These were professionally-prepared 292 heads available from the camshaft maker that featured mild bowl work, gasket-matched ports, 3-angle valve job, and springs to match the cam. 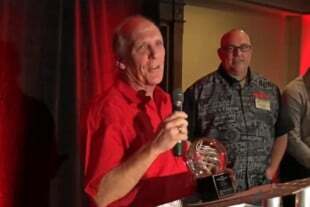 “The 292 was the best head available at the time,” remembers Richard Maskin, who raced Pro Stock throughout the ‘70s and had extremely strong small-block cars before NHRA mandated the 500ci engine in 1982. 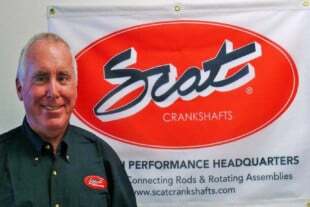 Although Maskin launched Dart Machinery by developing an aluminum Hemi cylinder head for Funny Car racers, he always wanted to build a better SBC head because of the market potential. 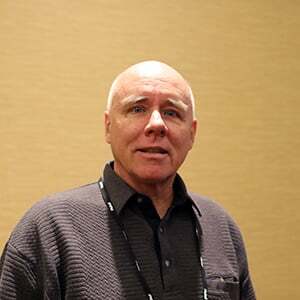 Teaming with Bill Mitchell Sr., they designed the Dart II head under the World Products label. Here are the World Products Sportsman II cylinder heads, which originally were developed as the Dart II heads. They are superior in every way over the original Fuelie heads with thicker decks, stronger valve seats, and better flowing ports. Mitchell and World Products eventually parted ways with Maskin, and the Dart II evolved into the Sportsman II. Mitchell then sold his interests in World Products, and the Sportsman II spawned the Motown iron head. Maskin went on to design what could be the ultimate iron head—the Iron Eagle. 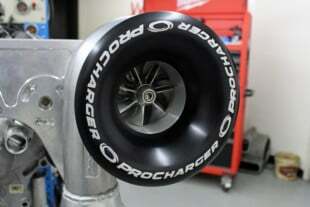 Chevrolet also vastly improved upon the Turbo 292 head when stock-car teams needed more power; therefore, the Bow Tie heads, Phase I and Phase II (14011034), were developed before high-powered 18-degree and SB2 aluminum versions were built for race teams. Here is the Dart Iron Eagle head that can be ordered with up to 230cc intake ports and 2.08 intake valves. Consider that the original Fuelie head had 160cc intake ports and 1.94 intake valves. 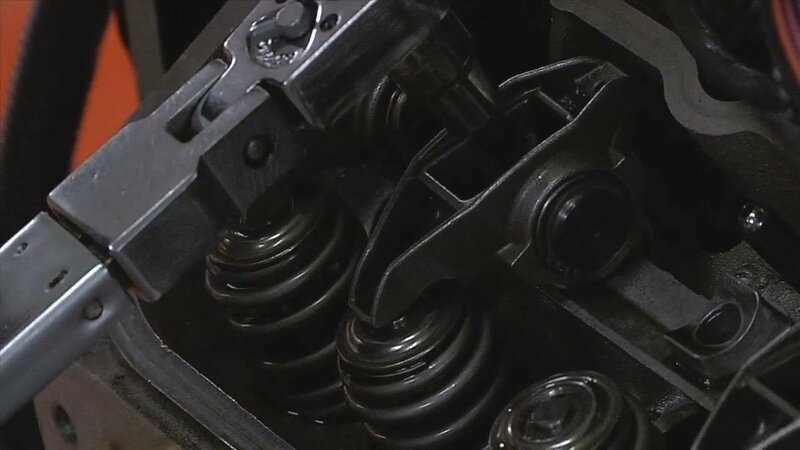 With each new head, there were slight improvements that eventually added up to a performance package that completely surpassed any of the original double-hump castings. Not only did the heads come with thicker decks, better combustion chambers, and more metal for port jobs, but spark-plug locations were changed for faster burn rates. 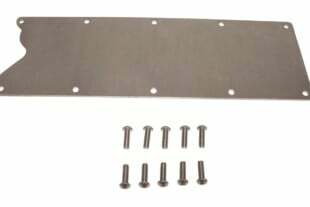 Screw-in studs and guide plates became common. Raised rocker rails also helped reduce oil leaks. Finally, GM took all the knowledge learned in the past iron-head versions and developed the ultimate SBC production head—the Vortec head. Although designed for truck engines, this cylinder head was quickly adapted by racers required to run iron heads with production numbers. Chevy Performance now offers an even hotter Bow Tie version of the Vortec with massive 225cc intake runners. Remember, the 461x had 172cc intake runners. The Bow Tie Vortec head is currently GM’s best iron head for the small-block Chevy. There remains a considerable market for SBC iron heads. Maskin says more than 25,000 iron heads were sold last year. While a significant portion of that tally was for industrial use (oil fields, irrigation, etc), small-block faithful still need quality castings to build up their ‘60s Chevys and earlier hot rods. The double-hump folklore won’t go away anytime soon, despite the obvious performance and durability advantages of aftermarket iron heads. A compelling chapter may be written around SEMA time when Trick Flow’s modern aluminum interpretation of the camel-back head is released. Performance will not be questioned, but there will be the unavoidable challenges to the historical birthright of the original 461 head. Meanwhile, we can reflect back on the foundation of small-block performance that the Fuelie head and its noble iron-cast successors delivered.